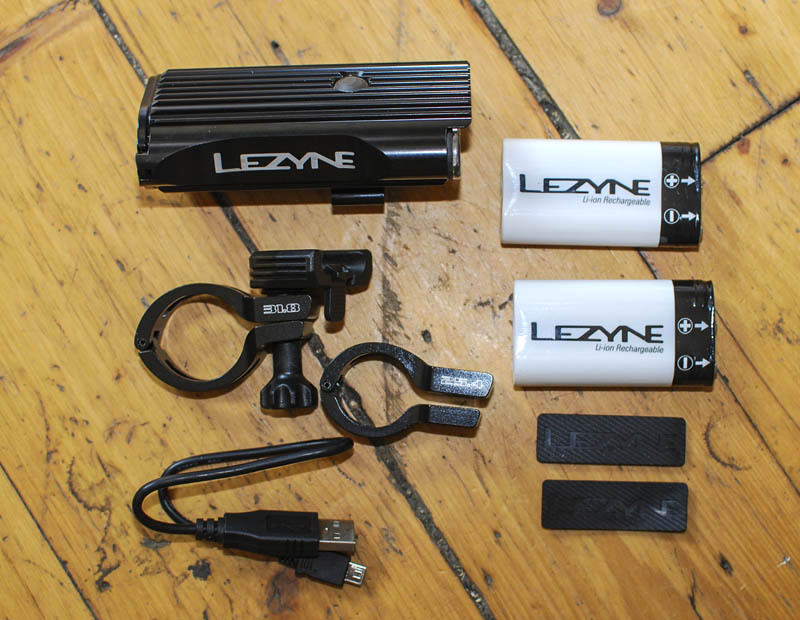 Out of the box, the Deca Drive oozes with typical Lezyne quality and attention to detail. The light is housed in a CNC'd aluminum shell and offers well thought out features like metal hinges and a sealed battery port. The battery port also doubles as a home for the USB charger connection. The light shroud has cooling fins machined into it which help keep temperatures down; and with three LEDs being powered to a max 800 lumen it can get pretty warm. 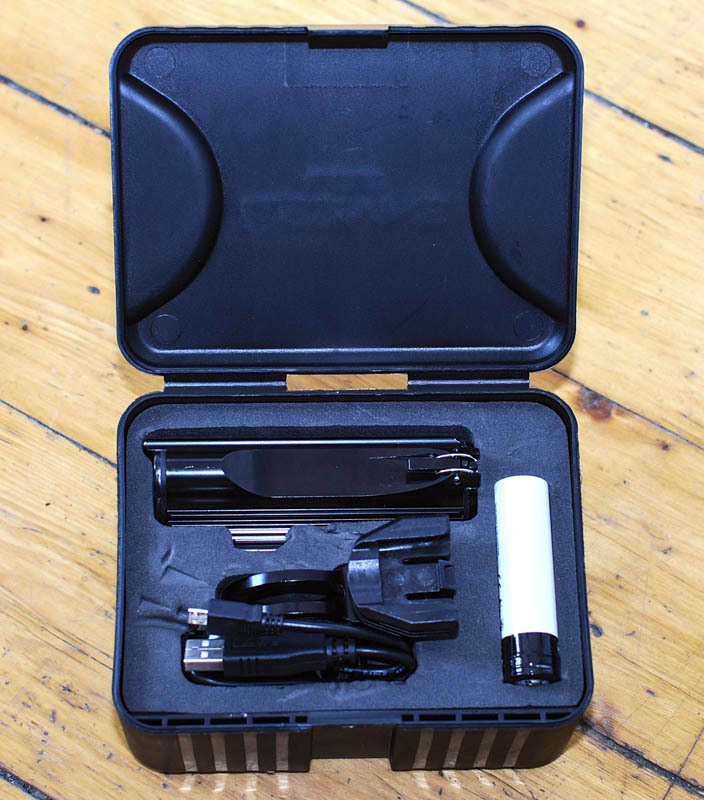 Included in the box is a spare battery, two sizes of handlebar mounts (31.8mm and 25.4), and a micro USB charging cable. The Deca offers four different power settings, ranging from a maximum of 4:45hr runtime @250Im to as little as 90min @800Im. Functionally, the unit was (mostly) self explanatory. Push down on the button for a couple of seconds until the light turns on. A firm click of the button will scroll through different light settings. I initially struggled accessing the 800Im 'Overdrive' mode as the button needs to be continuously pressed for at least six seconds. It took a few tries before it sunk in and eventually it wasn't a problem. There are also two flash modes at 400Im and 150Im. The Deca Drive makes for a great commuting light. When on the road, I used it mostly at the lower settings, as it was definitely bright enough to navigate the streets and increase my visibility in traffic. With it's overbuilt exterior, the Deca also made for a decent 'lite use' auxiliary trail riding light, but I woudn't recommend it for proper mountain bike use when mounted on the handlebar. The weight of the light and mount is substantial at 316g and in really rough and bumpy terrain the Deca rotated slightly on my bars, even with the provided rubber gripper strips. I was hesitant to clamp it down even more as Lezyne states a max torque of 5nm, and I was concerned with scoring my carbon handlebar. 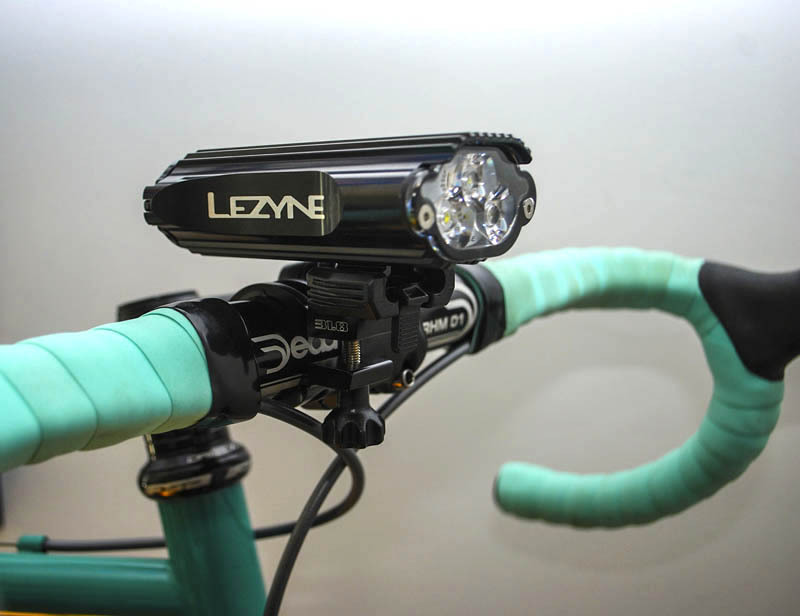 That being said, a proper light for using in the trails should be mounted to your helmet anyway; and Lezyne conveniently offers both an aluminum and composite mount for such the occasion. 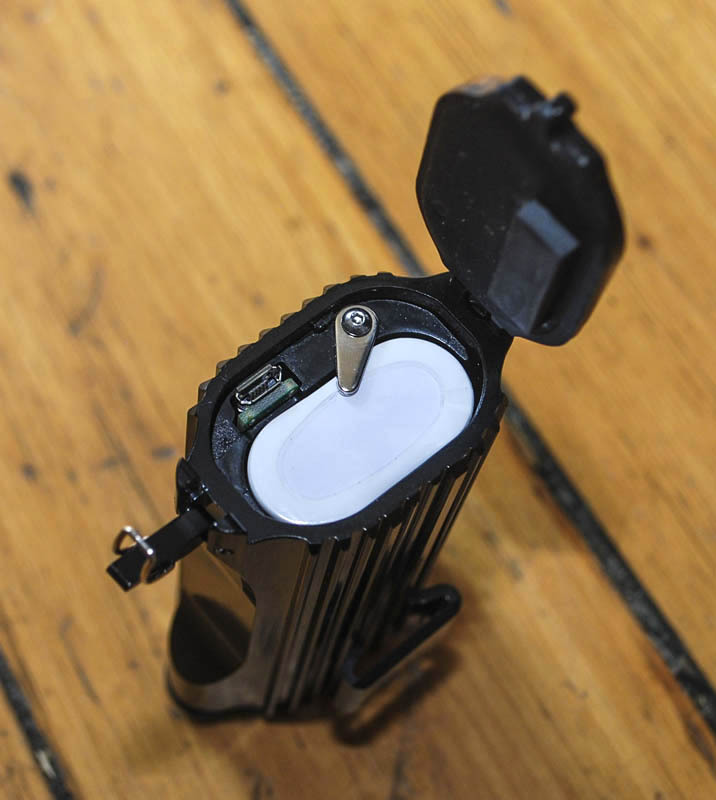 The Deca Drive is a top quality cycling light housed in a small, convenient, well made package. I found that having a spare battery (that was charged) was convenient as it saved me from rushing around before a ride wondering if my light is charged, or where my charger is. The second battery is also small enough to bring along as a spare on those longer evening rides or on those rides where you can't quite remember how long it's been since the last charging. Speaking of charging, the average full charge from empty took around six hours. Realistically though, I usually charge my peripherals overnight so the charge time is really a non-issue. I was a bit dismayed to see two sizes of handlebar mounts in the box. I was really hoping for both the handle bar mount and a helmet mount. The 25.4 mm handlebar diameter has gone by the way of the dinosaur. It would make more sense to me to include both a 31.8mm bar clamp and also a helmet mount for the $250 price tag. At least that way the Deca Drive would appeal to more cyclists. 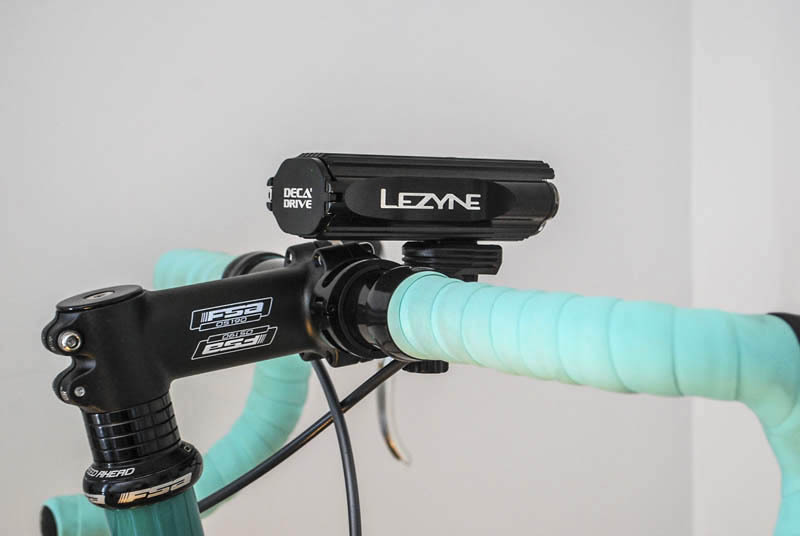 Lezyne is known for their style, quality, and attention to detail, and the Deca Drive rivals some of the best in the industry. The Deca is a sturdy unit that should stand the test of time on the front of your bike. It does its job and does it well. However, if they ditched the 25.4mm bar clamp and instead included a helmet mount, this light would automatically be bumped up to the next level.